It is funny – at this moment we are using DV GeoTrust SSL Cert but has no support for ECC. We talked about ECC SSL (ECDSA) Certificate in previously published article around whether to upgrade or not. You can read that if you missed it. Few Costly Paid SSL Have Support For ECC. Let’s Encrypt Supports For Free. 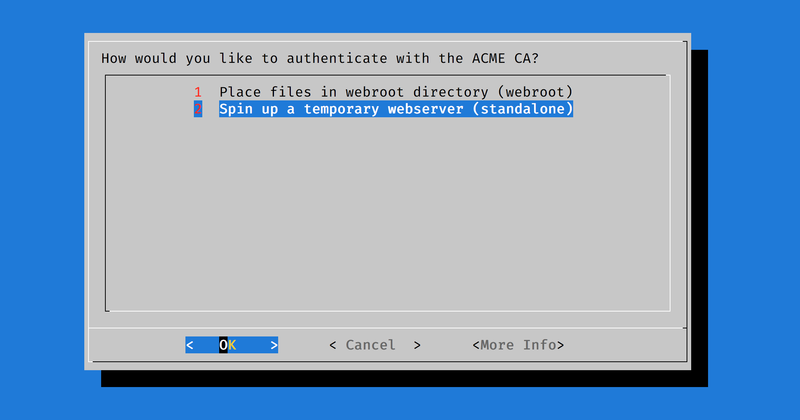 Here is How To Generate Let’s Encrypt ECC SSL (ECDSA) Certificate. Let’s Encrypt supports ECC SSL (ECDSA) certificate is actually a point for our article Let’s Encrypt Versus Paid DV SSL Certificates. We purchased GeoTrust DV SSL up to 4 August 2018. There are actually many such victims. None every tested with two sets of SSL Certificates from CA with two algorithms. Such combination can DANE TLSA record invalid. You should be prompted with this kind of screen in your SSH. Choose option 2. If everything goes fine, that should give you certificates with name like 0000-cert.pem, 0001-fullchain.pem. You can have trouble with the renewal process of ECDSA certificates. You need to run certbot certonly to pass the --csr argument manually for renewal like generating new one. Why ssl_stapling_verify off; that is written in this guide – it gives OCSP Response Expired error. This Article Has Been Shared 5982 Times! Cite this article as: Abhishek Ghosh, "How To Generate Let’s Encrypt ECC SSL (ECDSA) Certificate," in The Customize Windows, November 20, 2016, April 21, 2019, https://thecustomizewindows.com/2016/11/how-to-generate-lets-encrypt-ecc-ssl-ecdsa-certificate/.